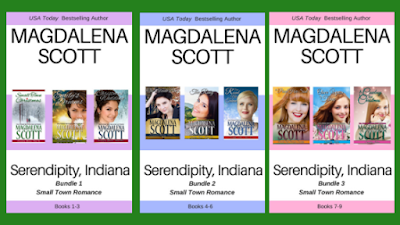 I'm excited (and I hope you will be, too) to let you know that all 9 of my Serendipity, Indiana books are now available in bundle (a/k/a boxed set) form. The first bundle released earlier this month, and the other two are available for pre-order. 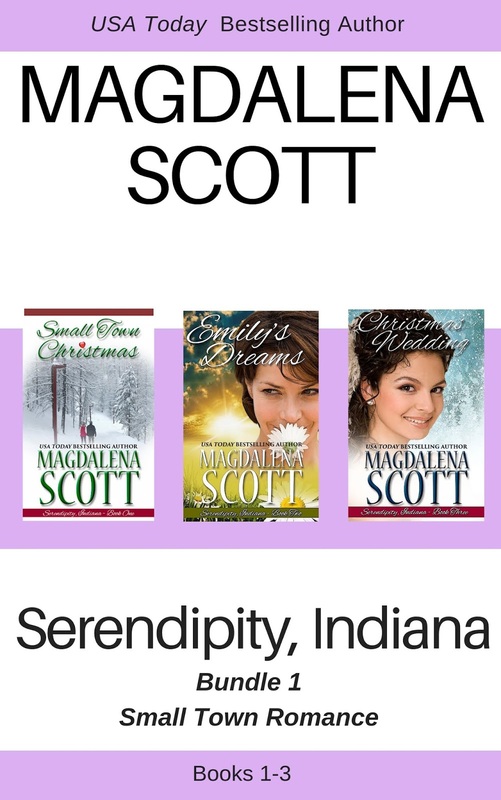 If you haven't read the series, this is a great time to snag all of the stories for a limited-time bargain price. After their respective release dates (Oct 4 and Nov 1), Bundles 2 and 3 will go from the current $4.99 each to the regular price of $7.99. 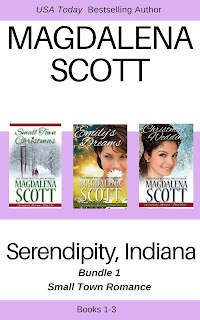 I hope you'll enjoy your visit to the small town where many things aren't as they seem--in a good way! Great deals, Magdalena! And the Christmas bundle is perfect for the upcoming holiday season.